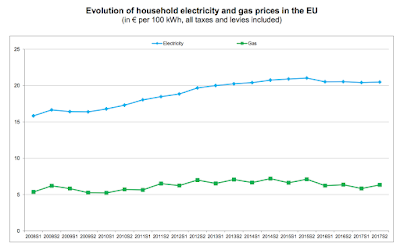 Household electricity prices in the European Union (EU) slightly decreased (-0.2%) on average, between the second half of 2016 and the second half of 2017, to stand at €20.5 per 100 kWh. 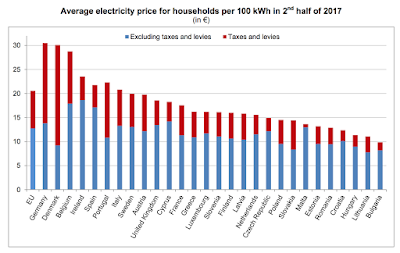 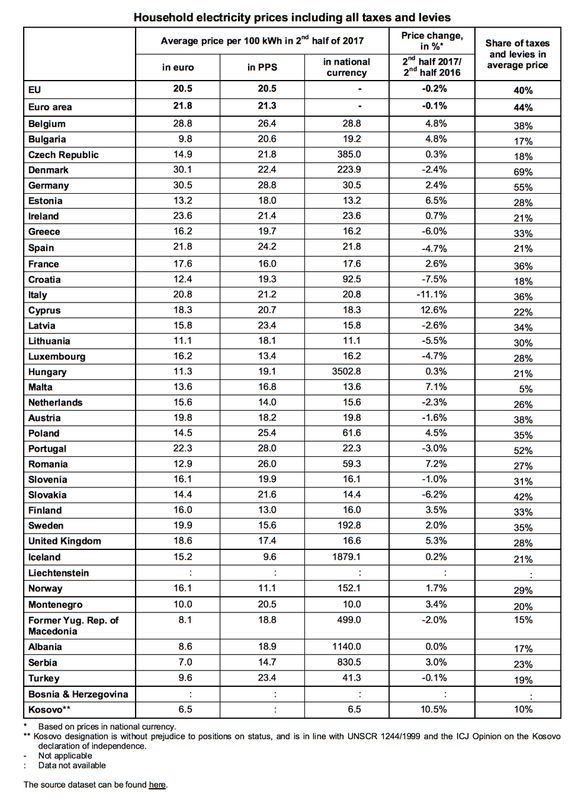 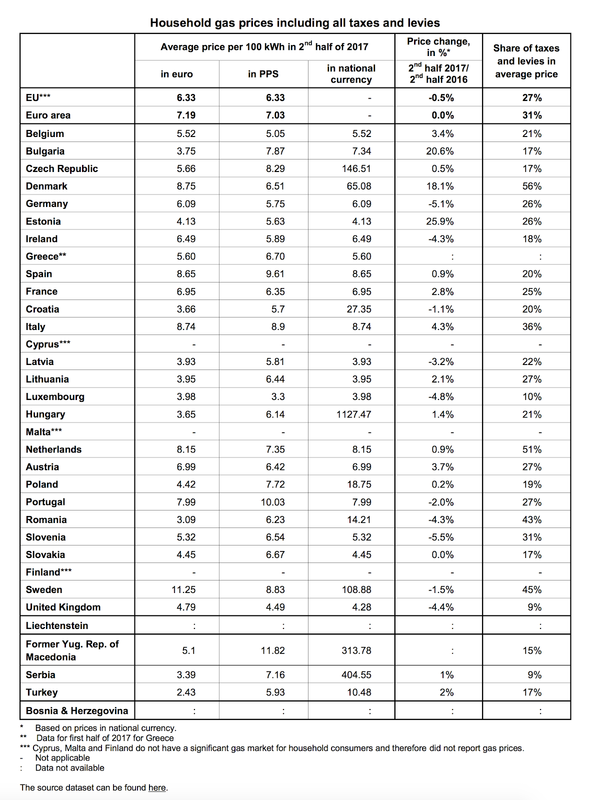 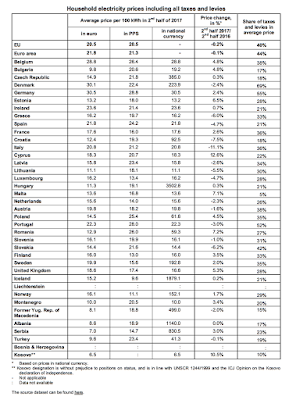 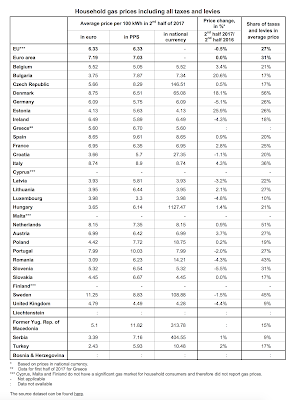 Across the EU Member States, household electricity prices in the second half of 2017 ranged from below €10 per 100 kWh in Bulgaria to more than €30 per 100 kWh in Denmark and Germany. Household gas prices fell by 0.5% on average in the EU between the second halves of 2016 and 2017 to stand at €6.3 per 100 kWh. 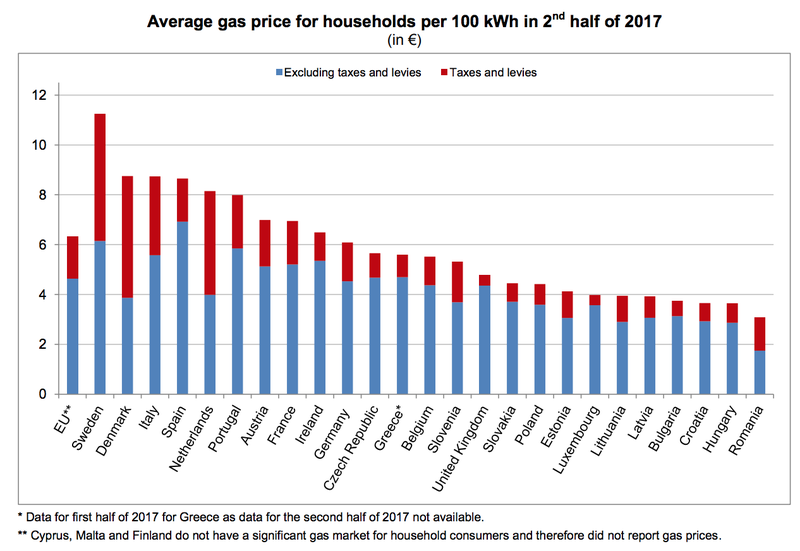 Among Member States, household gas prices in the second half of 2017 ranged from around €3 per 100 kWh in Romania to almost €9 per 100 kWh in Denmark and more than €11 per 100 kWh in Sweden. 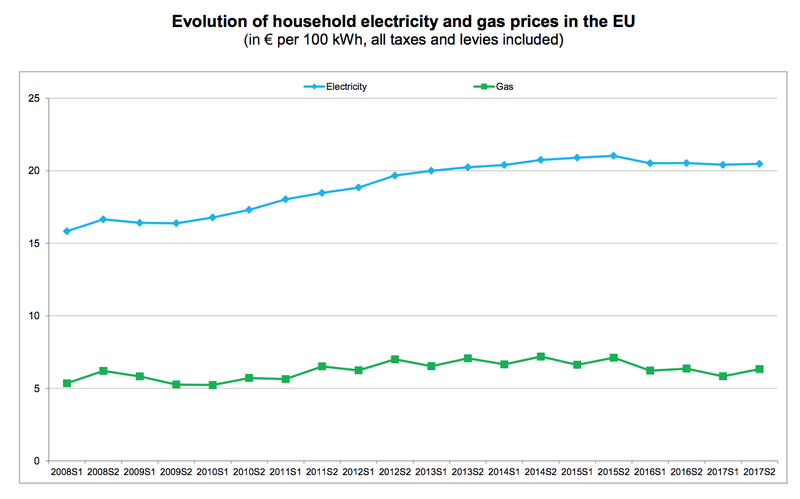 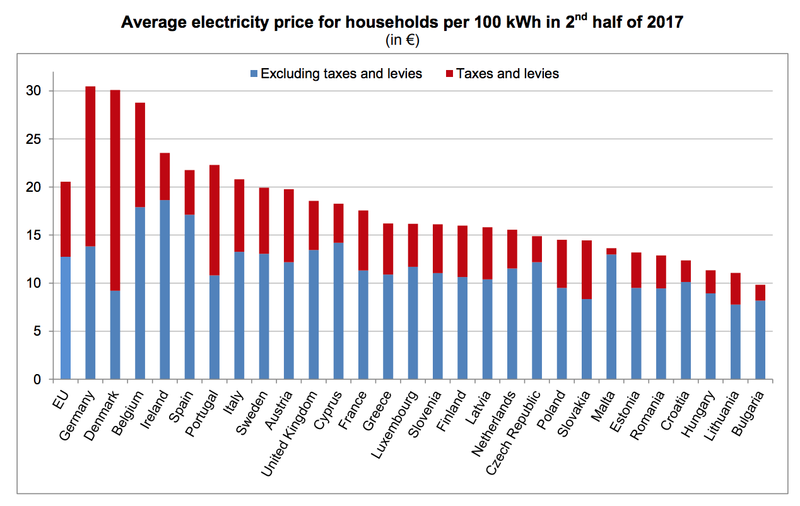 Taxes and levies in the EU made up on average over a third (40%) of the electricity price charged to households in the second half of 2017, and about a quarter (27%) of the gas price.